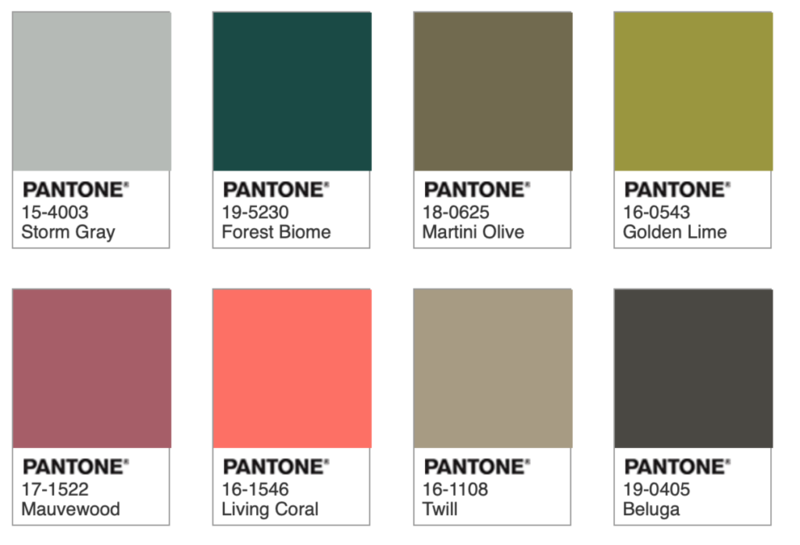 Every year Pantone Color Institute deeply analyses fashion trends, catwalks and our society to decide which color will better represent the year to come. 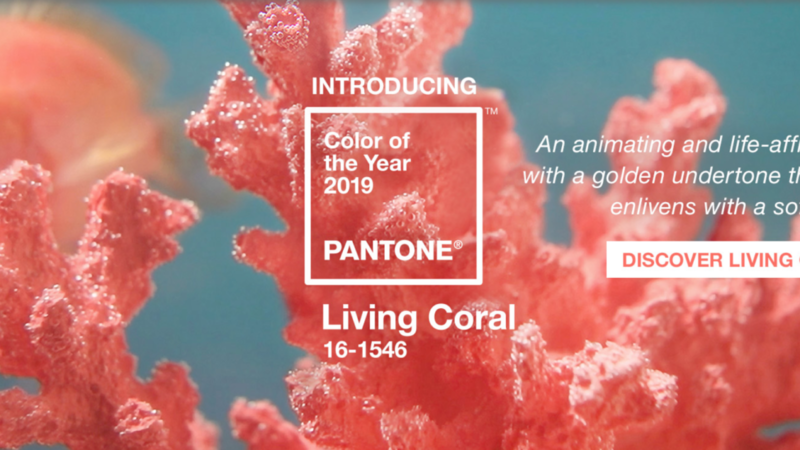 In 2019, Pantone’s colore experts claimed LIVING CORAL as the color of the year, the one color that will best represent our evermore changing society. Vibrant, yet mellow and sweet, Living Coral is color that embraces us with its warmth and encourages us with its dynamism. It symbolizes our innate need for optimism and joyful pursuits and our desire for playful expression. Personally, I really like Living Coral, especially its contrast with last year’s color. Living Coral is a breath of natural joy and real life: were Ultraviolet led us inside our own being, asked us to look into our spirits and seek for truth there, Living Coral is asking us to focus all our attention to the reality that surround us, without trying to scare us. It evokes Spring flowers, exotic birds and, of course, the beauty of the underwater world. It’s interesting how Pantone, by analysing our world, found in Living Coral tonality the new trend. It’s interesting because we take inspiration from our nature and we seek a connection with it through colors: are we really being inspired by corals, those same unlucky corals that are quickly dying on our watch? What do you think about that? I don’t want to become too political or too philosophical (or worse) in this blog post, so I’ll leave you thinking about this topic by yourself or by visiting all those websites out there that are taking the survival of our environment very seriously while spreading awareness with all their power. Not to be too cheesy but, have you ever heard “be the change you want to see in the world”? You might think it’s a lame sentence, but it’s actually the truth: if you yourself don’t start changing something in the world, no-one will. Ever. Let’s get back to our beloved fashion topic and see… how can we wear Living Coral in every day life? 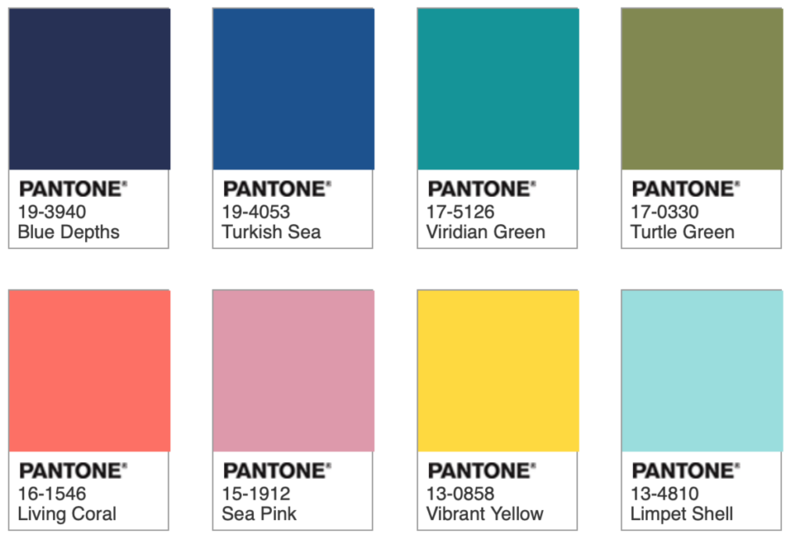 Again, Pantone comes in our help. As always their experts created some color palettes that will help you find inspiration. You can find all the 5 palettes information here. I want to talk about just two of them: Focal Point, made of neutrals and perfect for everyday and Under the Sea, made of vibrant underwater world colors. This is the palette for those of you that like me, prefer neutrals over bright color, but are always drawn to new tonalities. As you can see Living Coral combines well with green hues and greys too. Just don’t forget to use colours with a warm undertone. Look at all possible combinations you can make, without being too bright or bold with your outfit. For me it’s the perfect match for work: neutral wardrobe and Living Coral make up. And if you want to make a statement in the evening, choose a bag with this warm tonality. This palette isn’t made by my usual go-to colors, but something about it caught my eye and I couldn’t just move on without showing it to you. I always was a mermaid at heart, so the name of this palette already does half the job in winning me over. Perfect for Summer, when your skin is glowy and sun kissed, Under the sea is the palette to look at to spread energy and dynamism. We see the return of Limpet Shell, paired with 2019’s color of the year, creating a Summer child effect. Let yourself be inspired by this palette while deciding for your Summer wardrobe and your bikini collection. Turkish Sea seems the perfect color for a pair of statement earrings, while Blue Depths should be your “black” during Summer. What are your thoughts on Living Coral? Are you a fan? Or you would rather wear the mysterious and introspective Ultraviolet? Are you looking forward to see this color on lips and cheeks? Will you be inspired by Living Coral palettes? All pictures are under www.Pantone.com copyright. Quotes describing the color comes from the same website.